Aque height ink system is placed, it is important in the durability and function, be very careful and follow the steps below. The continuous ink systems have become a good tool in recent years, they can achieve significant savings in our impressions compared to traditional cartridges, everything depends on the quality of the installation that is if we have a bad installation system continuous ink can even become a headache. Many people really wonder as continuous ink systems work, and the truth is that it is not an easy question to answer, but if you have a logical operation, adaptations work differently systems of continuous ink manufactured as is for tanks Epson printers. The adaptations are usually made with inkjet printers Canon, Epson, Brother and even HP (the last not recommend), work by gravity. What helps the smooth running of an adaptation of ink? To be honest most importantly an adaptation of system time when we bleed cartridge is crucial, there are many factors to consider and that is to let the ink at the mercy of the cartridge, as this need ink, if hoses inks have ink inside the cartridges will work. The ink cartridges ink make out through the heating of the heads, ie there is a lot of pressure to make the ink from the cartridge. The height to which a continuous ink system gets is important to maintain balanced ink system should always locate at the same height of the cartridges. Look who travel make hoses to reach the cartridge, they can not go much, as we said before the ink has to be at the mercy of the cartridge, if we place the ink tanks below where they are the cartridge is possible which eventually carrying hoses ink cartridges from being empty. The path of the hose can not be observed or being for the same or for another printer object has it has to flow easily. When we ship the printer must cover the tank vents ink for the printer not fill ink cartridges too. Use the filters in the ink systems to prevent leakage of ink in the cartridges. 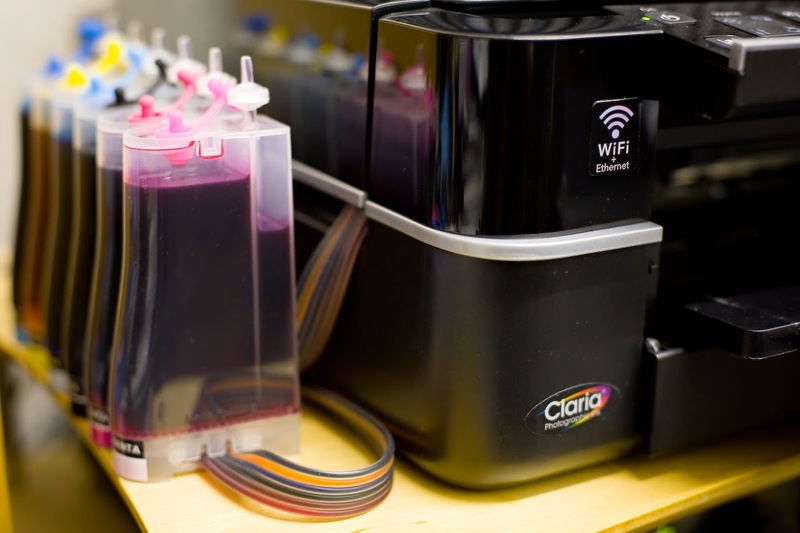 We recommend printing at least once every week for the ink system does not cover ink cartridges. Make cleaning head immediately see that the pages are coming out blurry or scratches. Change the ink cartridge when we know that this is necessary, we must consider that everything has an end, if you really need quality have to pay at least buy cartridges when replacement is more convenient to make them for XL cartridges version.